Brexit will take place on 29th March 2019. The date is fixed and is not dependant on any agreement between the UK and the EU. The risk of a “no-deal Brexit” has spurred the publication of governmental guidelines for businesses. This week the UK government notably published a “Patents if there is no brexit deal” Guidance, which looks specifically at the issues of patents and supplementary protection certificates and those of the Unified Patent Court and the Unitary Patent. The guidance states that only a few areas of UK patent law rely on EU legislation. Therefore “(t)he relevant EU legislation (or its domestic implementation) will be retained in UK law under the EU Withdrawal Act 2018.” The existing system will thus remain in place but will operate independently from the EU regime. The UK legislation “to bring (the UPC) into force will never take effect in the UK“. After Brexit, patent holders and patent users will thus only be able to rely on the UK patent legislation. Patent owners, irrelevantly of their nationality, will be able to benefit from the Unified Patent Court and unitary patent within the contracting EU member states . The unitary patent will not however include the territory of the UK. Patent users, irrelevantly of their nationality, will also be open to litigation before the UPC if they infringe existing rights within the contracting EU member states. However, the question of the enforcement of the UPC decision in the UK still needs to be clarified. 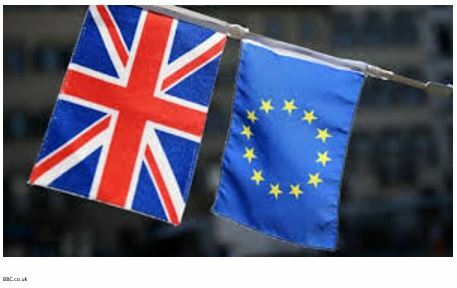 Finally, as confirmed by the EPO, “Brexit will have no consequence on UK membership of the European Patent Organisation, nor on the effect of European patents in the UK” . Patent owners, irrelevantly of their nationality, will no longer benefit from either the UPC or the unitary patent within the UK. They will nonetheless have the options of applying for a national patent before the UK Intellectual Property Office and for a European Patent before the EPO. UK courts will then have jurisdiction. Patent users and owners, irrelevantly of their nationalities, will benefit from the unitary patent as well as from the jurisdiction of the UPC, both extending to the territory of the UK. But could the UK actually remain part of the UPC and the Unitary Patent? Any guidance? The question is important. Indeed, the UPC Agreement has no provision enabling a non EU member state to participate in the UPC system. “– (1) there is no legal basis in primary Union law for courts situated outside the judicial system of the Member States and, consequently, that of the EU, to cooperate with the CJEU by making references for a preliminary ruling within the scope of Art. 267 TFEU. Other contributors to the debate have expressed the opposite view. Kevin Mooney, a member of the UPC advisory group, has for example always be a proponent of UK’s participation to the UPC. In an article to the magazine Juve Mooney declares that he believes that the UK “leaving the EU would not be fatal” to its participation to the UPC. According to Mooney this should be possible for at least the transitional period. In fact, if the UK and the EU enter a withdrawal agreement that provides for such participation no amendment of the UPCA will be required. This means that “the UK will be in the project for at least two years from March 2019 and will fully participate“. This would also mean that the Central Division entity dealing with chemicals, pharmaeuticals and life sciences will remain in London. However, there is still uncertainty as to the possibility for English judges and lawyers to fully participate to the UPC. Finally, the UK and the EU will need to agree on the UK’s long-term participation to the UPC. So what still needs to be done for the UPC to come into operation? Germany must ratifiy the UPC Agreement. The German constitutional court however needs to decide whether the ratifying German legislation is compatible with the German constitution. According to Mooney the decision should be rendered before the end of 2018. The electronic case management system is still in working progress. This system is key to the functioning of the Court, which will be a paperless court. However as explained by Mooney, the tailoring of the case management system to the UPC Rules of Procedure is sensitive. Indeed, there are more than 300 rules of procedure which must now be fitted in a binary computer system.